I’ve been practicing “notan” style drawing (this is a Japanese word meaning light and dark illustration). I used a fine point a Pentel waterbrush filled with black acrylic ink (Art Spectrum but I think any brand would be OK)…so long as the brush is in use or tightly capped when not it doesn’t seem to dry up or clog the brush hairs which are synthetic….6 months now and no problem. I carry this brush in my bag with my regular sketch kit but do make sure it’s upright in case of leakage. 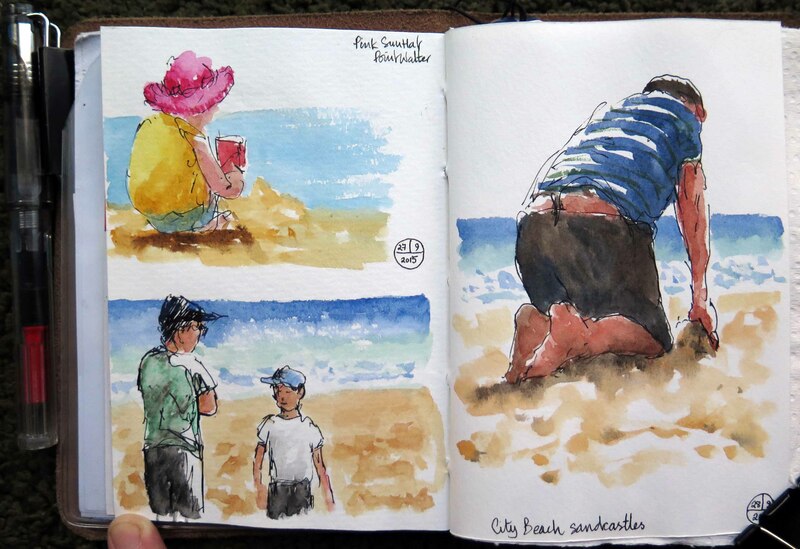 More quick notan scribbles….waterbrush and fountain pen….some with watercolour added. 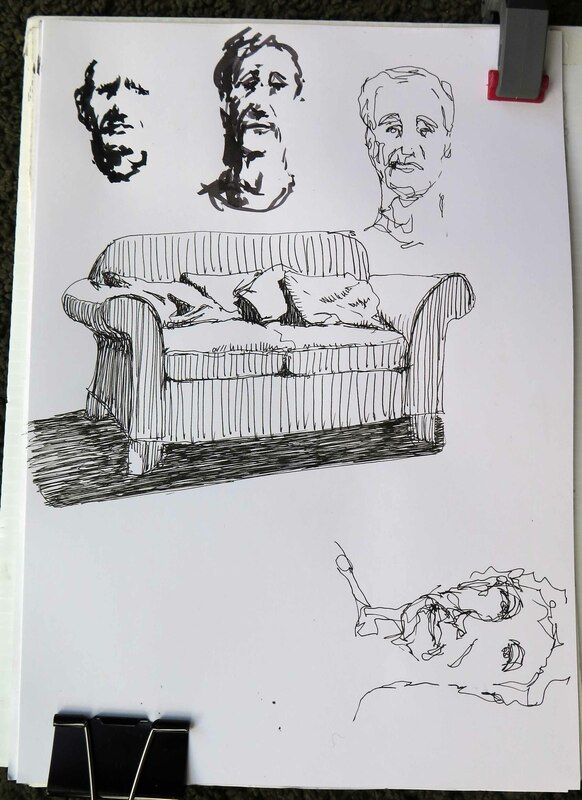 Only a quick couple of sketches at the Perth Royal Show…I hoped to draw alot more but as expected got caught up in seeing as much as possible …It’s a really big show. 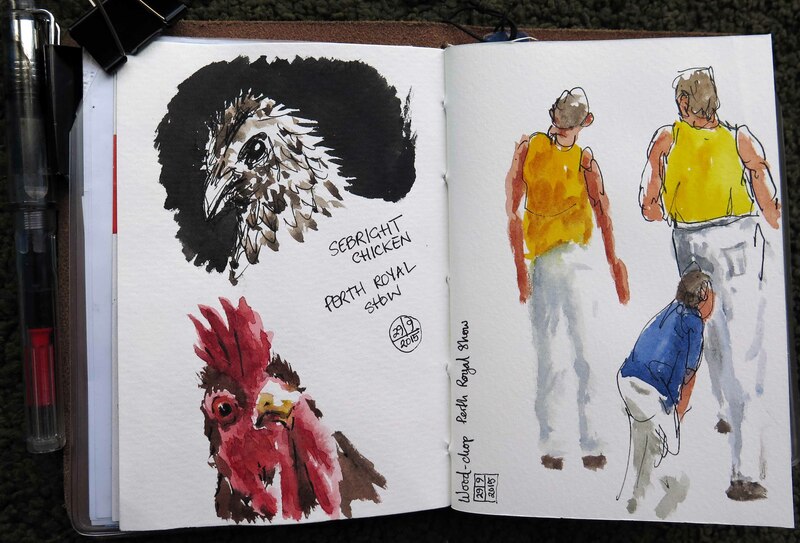 We always go to check out the chickens…very noisy barn with roosters showing off and hens clucking. Such a variety of birds…different breeds of hen, turkey, fowl, duck, game, pigeon and others. Other favourite in the show is the “wood-chop” – strong men competing to fell or chop a tree trunk with razor sharp axes….it really is impressive but hard to sketch as they swing the big axes so quickly. Warm and sunny at the beach on this long weekend – Queen’s Birthday holiday on Monday in W.A. Lots of people down at City Beach….the Indian Ocean is very cold this time of year…won’t warm up for a few months. Decided to go sketching in Perth Museum this morning….these are a couple of the skulls on display…. Neanderthal and Homosapien. Both drawn with watersoluble inks, the top drawing was washed with water from a waterbrush but I just drew with ink for the lower one. This is the Administration building opposite the Museum, old stone blocks, curving arches, terracotta tile roof…classical European styling. 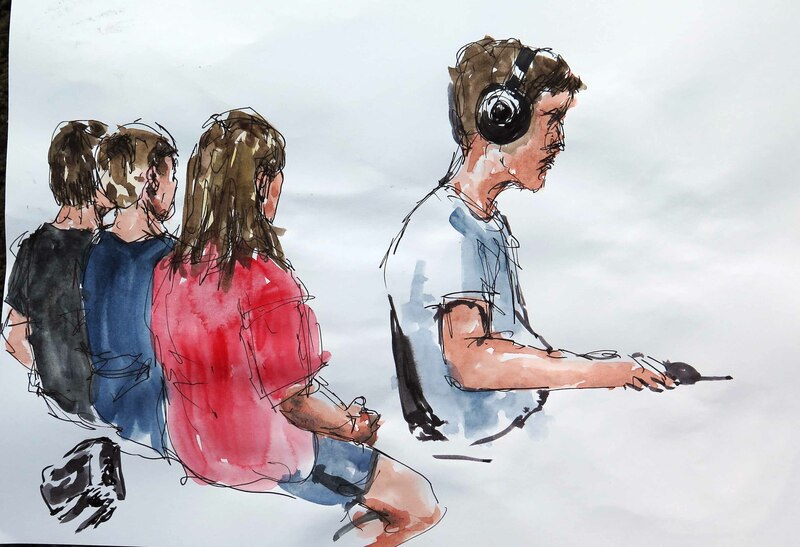 Finally some gestural sketches of people passing by next to AGWA , everyone seemingly in a hurry to get somewhere apart from a few parents who stopped to inspect the little pond with their children. 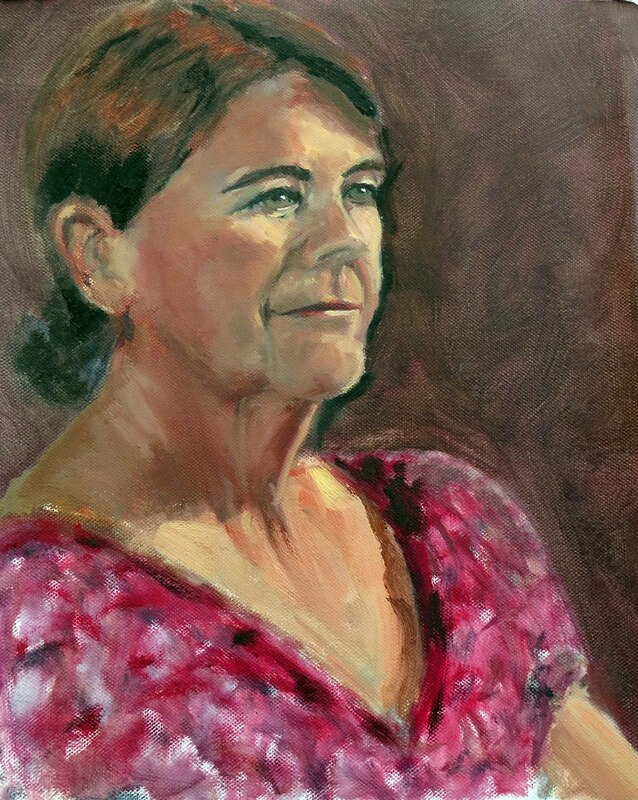 The above two portraits were painted last year in a live model portrait class taught by Drewfus Gates at the now defunct Claremont School of Art. We had each model for a total of 9 hours – 3 hours per week over 3 weeks. I had completely forgotten about these pictures, and just rediscovered them….they look better to my eyes with the passage of time. 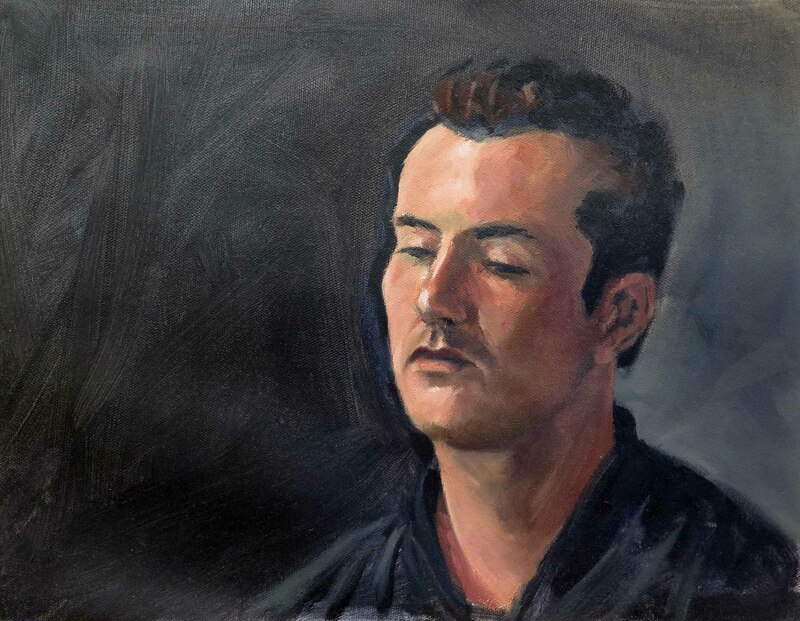 These are copies painted in acrylic of Nikolia Fechin works – I adore his portrait and people studies, he had a real connection with each of his sitters. The proportions of my paintings are not quite correct compared with his originals but they look OK as people pictures. A couple of quick sketches, the statue at the Pioneer Women’s Memorial drawn with water-soluble ink (Lamy black) then washed with a waterbrush. Second sketch of Kangaroo Paw flowers that are in full glory this time of year. This is “Gija Jumulu” the majestic Boab tree in Kings Park Perth. Grown on the land of the Gija people in the Kimberly region of WA it was moved 3,200 Km to Perth in 2008 to make way for improvements to the Great Northern Highway. Estimated to be over 750 years old, it weighs 36 tonnes, is 14 metres high, spans 8 metres wide and the trunk is 2.5 metres in diameter……it’s quite some tree. 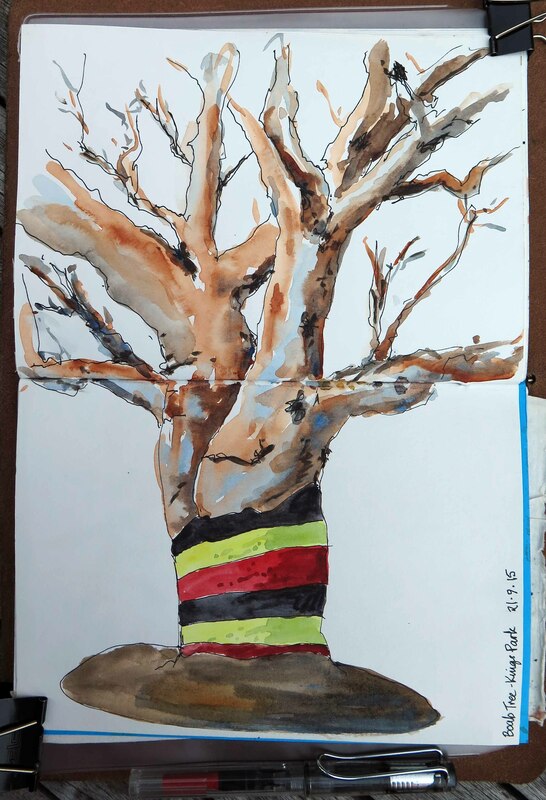 The trunk is currently wrapped in a blanket of the colours of the aboriginal flag (other trees also have been dressed up “funky trunks” as part of the celebrations for 50 years of Kings Park Botanical Gardens). There is plastic sheeting around the base of the tree to prevent the roots from becoming waterlogged in the Perth winter as it is a dry country species. 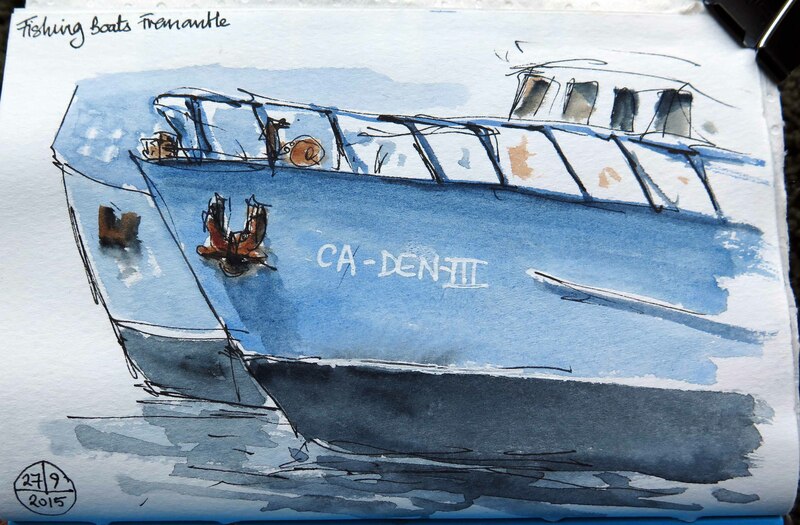 Lamy Safari with De Atramentis Archive Ink black, watercolours, burnt sienna, colbalt blue, windsor red, windsor lemon, neutral grey, Pentel waterbrushes, 225gsm homemade sketchbook.